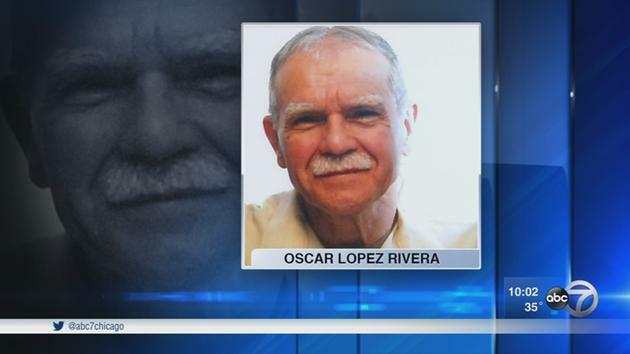 A celebration was held Sunday in the Humboldt Park neighborhood days after President Barack Obama commuted the prison sentence of Oscar Lopez Rivera, a Puerto Rican nationalist who grew up in Chicago. Family and friends gathered at the National Museum of Puerto Rican Arts & Culture. An big celebration will be held at the museum on May 17, which is when Lopez Rivera is scheduled to be released and return to Chicago. “He’s our Nelson Mandela. He went to jail for exactly the same charges,” said U.S. Rep. Luiz Gutierrez, D-Chicago. Gutierrez, who has been working on Lopez Rivera’s freedom for 25 years, was among the celebrants – including Lopez Rivera’s brother — expressing thanks to Obama. 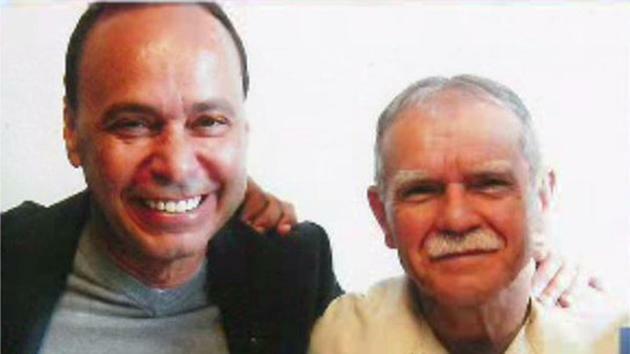 Congressman Luis Gutierrez (left) with Oscar Lopez Rivera. Lopez Rivera was convicted decades ago of supporting a militant group and sentenced to 70 years. He was linked to the radical group FALN, which was responsible for more than a hundred bombs around Chicago and the U.S. in an effort to gain independence for Puerto Rico. At least four people were killed in those attacks. Lopez Rivera was sentenced to 55 years originally for conspiracy and later had 15 years added on after a failed plot to escape. It’s been an emotional few days for his daughter. Daughter Clarissa Lopez Ramos said there has been happiness and tears of joy. “He’s getting ready for this new stage. He’s been in prison for more than 35 years,” his daughter said. Lopez Ramos said she plans to bring her father home to Puerto Rico with her. His attorney Jan Susler visited him in prison on Saturday. “He said he feels like there is a big weight off of his shoulders,” Susler said. Channel 7 alum Jim Avila toured Oscar Lopez-Rivera’s apartment in 1981.